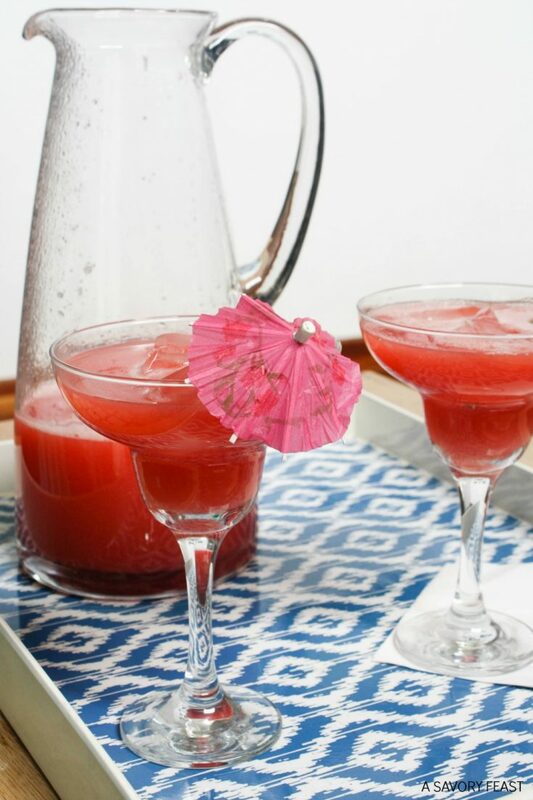 Celebrate Cinco de Mayo with this fruity, non-alcoholic drink! 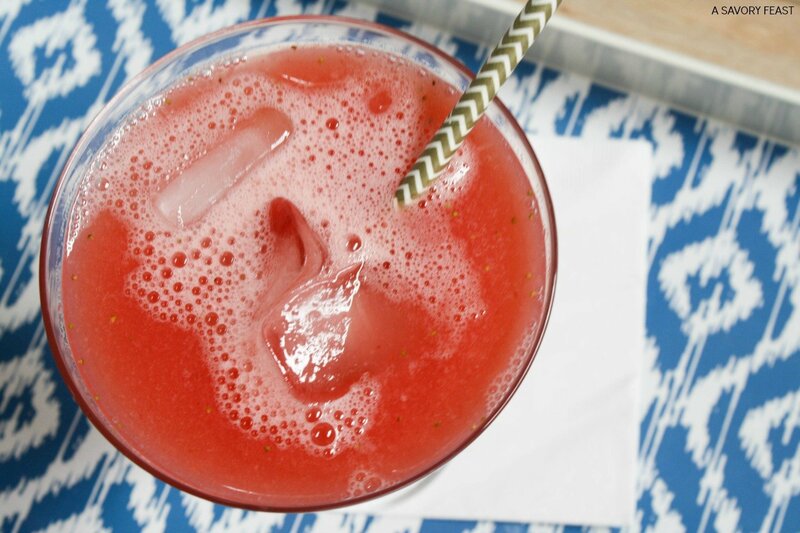 Strawberry Watermelon Agua Fresca is a delicious drink for all ages. What are your plans for Cinco de Mayo this year? 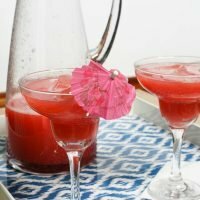 Plan a fiesta with friends and cool of with this refreshing Strawberry Watermelon Agua Fresca recipe. 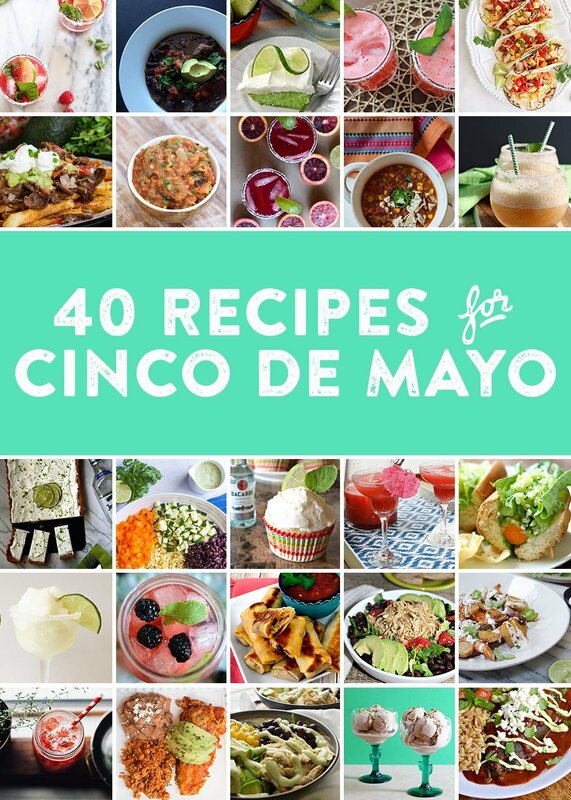 Today I’ve teamed up with a huge group of food bloggers to bring you 34 recipes for Cinco de Mayo. 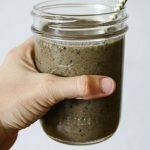 Scroll down to the bottom of this post to find all the recipes. You’ll have plenty of inspiration for your party, from the main dish to dessert to drinks and more! Agua fresca is a delicious beverage that is perfect for Cinco de Mayo. It’s non-alcoholic, so it’s great for parties with children in attendance or for those who don’t drink alcohol. 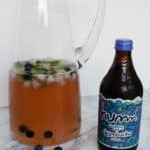 This drink is also super simple to make! All you have to do is put everything in a blender and then strain out the seeds before serving over ice. You can make this drink sugar free, too! Instead of simple syrup, sweeten your agua fresca with agave nectar. Find some fun glasses to serve your agua fresca in! Margarita glasses work great, but you can use whatever you have on hand. Add a little fun with paper straws and paper umbrellas! Your guests will love sipping on this yummy agua fresca throughout your Cinco de Mayo party. 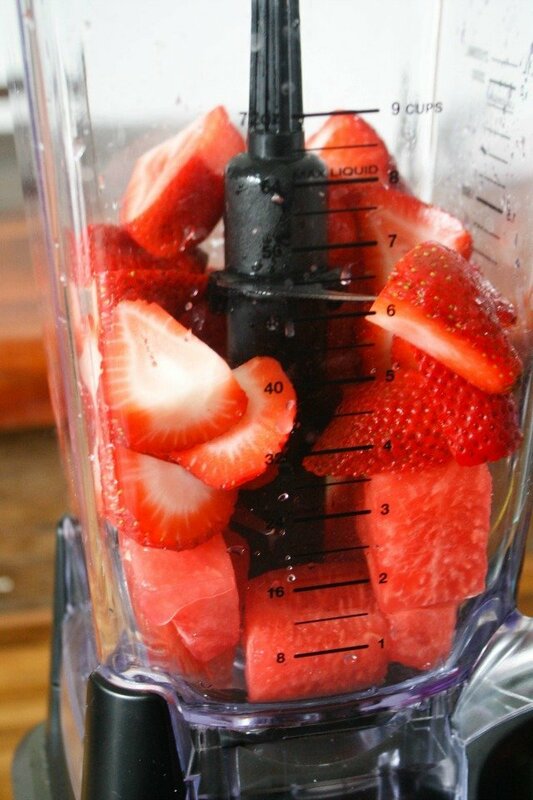 Place all the ingredients in a blender and blend on high until all the fruit is liquified. Use a mesh strainer to strain the agua fresca into a pitcher. This will remove the seeds and any bigger pieces that didn't get blended all the way. Taste the agua fresca and add more simple syrup or agave nectar if desired. This looks amazing! I can’t get enough strawberry flavored anything lately, but I always forget about watermelon. I’m DEFINITELY making this soon! You and me both! Strawberry is my favorite. I happened to have some watermelon in the house so I threw that in as well and it was a great choice! It’s perfect for a hot summer day! Yum! so fun for summer! Yes! It’s so refreshing on a hot day. This looks delicious and beautiful! I love it when drinks get “foamy” on top like in your photo! Me too! 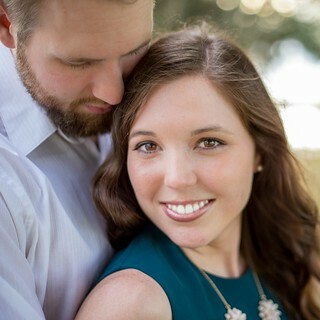 I was so happy with how the pictures came out. This just looks so refreshing! That colour is gorgeous, and I’m soooo ready for strawberry season! Here in Florida, our strawberry season is almost over. I’m milking it while I can! This drink looks SO good and perfect for the summer. I will be making this, for sure! Yum! My two favorite flavors! I can’t wait until it’s strawberry picking season in NJ! 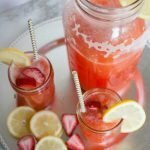 You should definitely make this when you get some fresh strawberries! Yum! I can’t imagine a drink that’s any more summer-appropriate. 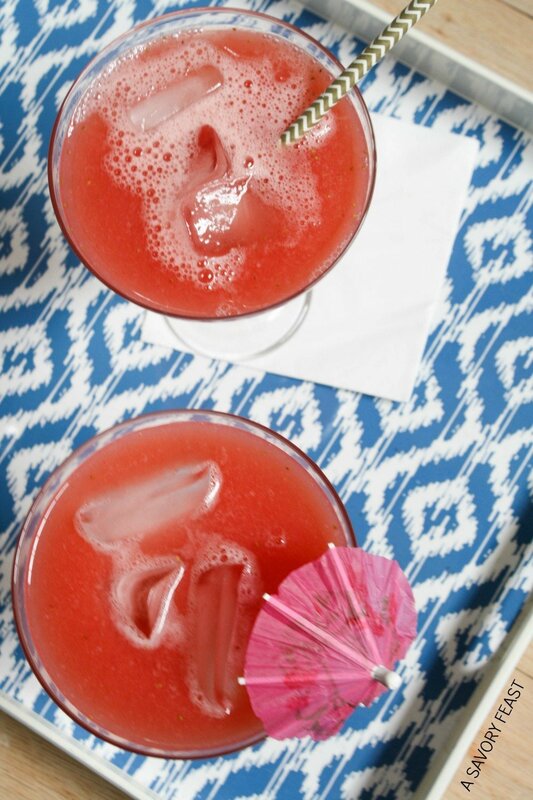 Sipping on a glass of watermelon-strawberry goodness – what’s more refreshing than that? 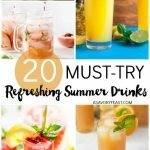 This drink is super refreshing, that is for sure! I think you will love it. This looks SO yummy and refreshing! I want one right now! 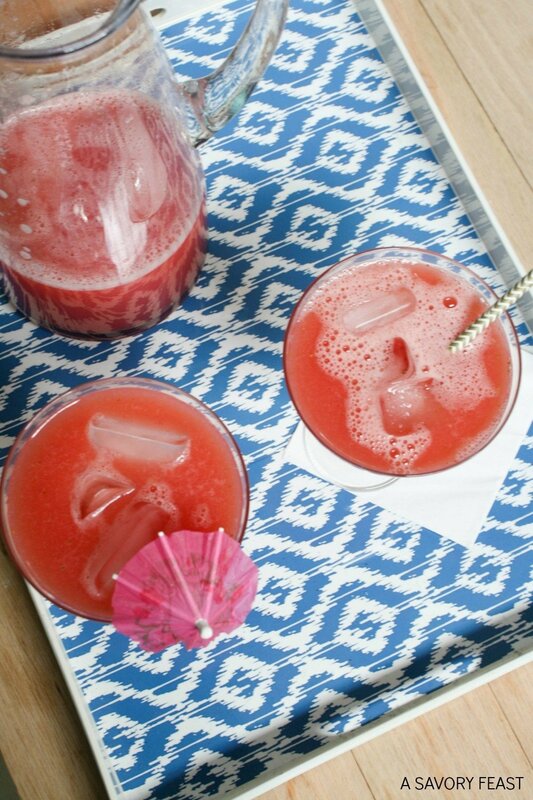 I wish we could share a couple glasses of this agua fresca right now! It’s delicious. I love watermelon so much!! I’ve never had a drink with it, so I imagine that the watermelon and strawberry combo is amazing! It’s so fruity and delicious! Perfect for a refreshing Cinco de Mayo drink.